The trailer of Janhvi Kapoor and Ishaan Khatter's much-anticipated film Dhadak is all set to release this afternoon. Dhadak is Janhvi's (daughter of late actress Sridevi and filmmaker Boney Kapoor) debut film. Ahead of the trailer launch, her brother Arjun Kapoor shared a sweet message for Janhvi, which is winning the Internet. "You will be part of the audience forever, Janhvi Kapoor because your trailer comes out. 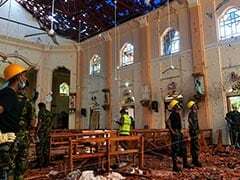 Firstly, sorry I'm not there in Mumbai but I'm by your side, don't worry. I just wanted you to know this profession is amazing if you work hard, be honest, learn to take the accolades with the brickbats, respect opinions, yet follow your own path and instinct," read an excerpt from Arjun's post. "It's not gonna be easy but I know you're ready for all the madness that will ensue. All the best for Dhadak! I'm certain my friends Shashank Khaitan and Karan Johar have presented you and Ishaan as the modern Romeo & Juliet with elan," he concluded. Janhvi posted several heart emoticons in the comments section and wrote, "I'll make you proud, I promise." Read Arjun's post here. (It has been liked by celebs like Alia Bhatt, Katrina Kaif, Priyanka Chopra, Neha Dhupia, Ananya Panday and others). Dhadak is a remake of Marathi blockbuster Sairat. Shashank Khaitan has directed Janhvi and Ishaan in Dhadak and the film is produced by Karan Johar. Arjun and Anshula are Boney Kapoor's children with first wife Mona. She died in 2012. Sridevi, who died this February, was Mr Kapoor's second wife and Janhvi and Khushi are their daughters. 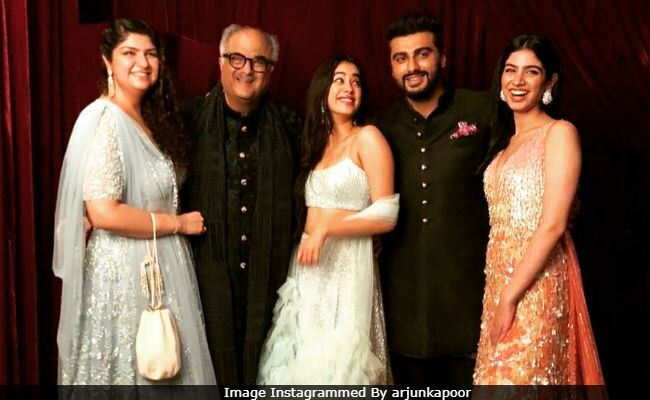 On being by dad Boney Kapoor, Janhvi and Khushi's side after Sridevi's death, Arjun tweeted last week, "Me and Anshula Kapoor represent our mother every single second we live. She would expect us to have been standing next to our father no matter what and be there for Janhvi and Khushi." Janhvi's Dhadak releases on July 20. Arjun is currently filming Namaste England in London.